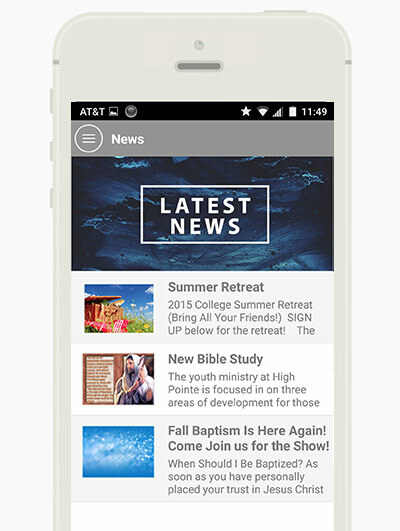 Members of your church can download your app from the ANDROID or IPHONE store. Increase church engagement with 0% extra effort! Only update your church website and your mobile app will automatically update and sync to the website. Mobile App & Mobile Website? A mobile church website is one that can only be accessed by opening a web browser on your phone and navigating to it through there. All sites we build have a mobile optimized website included. It is made up of all your pages from the full site, since in reality, it is your full website, just in a more easily readable form. 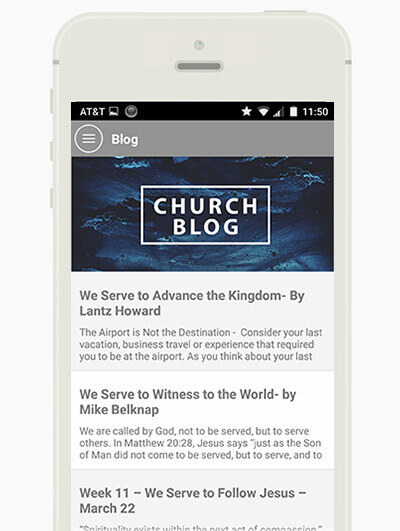 Your custom church website with us already includes this kind of mobile website. Apps are actual applications that are downloaded from the Google or Apple App Store and installed on a mobile device. They do not require a web browser and are just a click of a button away from being opening by the end user, since the icon goes right on their mobile desktop. The app is not your full website but pulls in your most important data that you want, such as sermons, announcements, calendars, and even your Facebook page. Plus, with an app, you get to use push notifications to all your users. A mobile website cannot do that. See some of ours apps in action! Click and drag an image below to the left or right to scroll manually through our roll of sample screenshots. 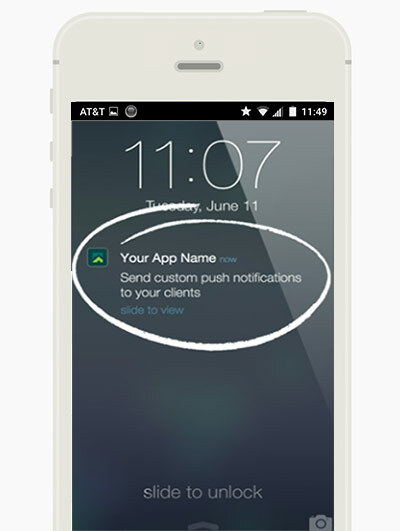 Send push notifications right from your phone to all your mobile app users, with the press of a button. Great for breaking news, reminders, the start of an event, weather closings, and more! You can also schedule them out too! 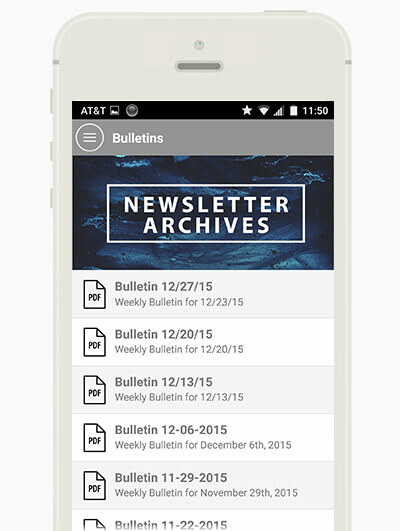 Keep your church members informed and always up to date with detailed info pulled automatically from your calendar. If your locations are in your calendar, a map of the location will show up in the app as well. Show your full sermon archives, including images, audio, video, & pdf notes. Users can can even do other tasks while listening. Make sure your members always know the important stuff going on at your church. As with all other features, this syncs automatically from website. Show any form from your church website. Great for contact forms, guest surveys, baptism signup, etc. 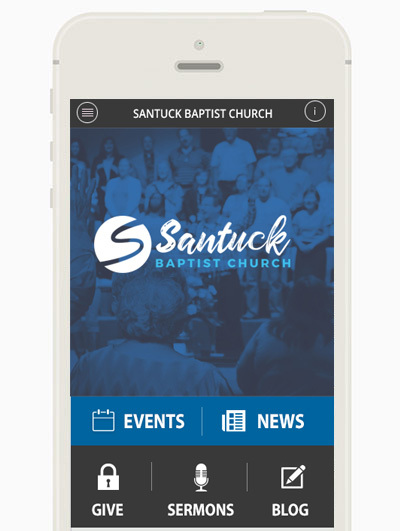 Allow users to watch your church service live, right inside the app, on their mobile devices. Works with all video streaming services out there. 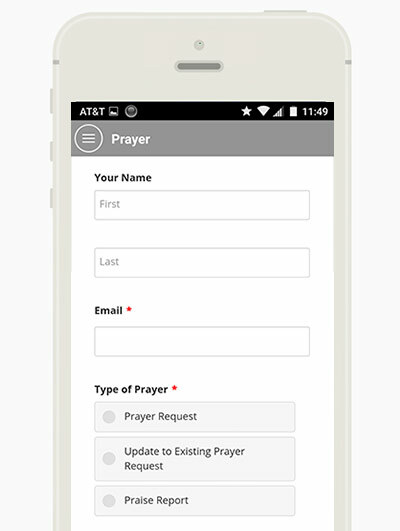 Your church mobile app users can submit prayer requests, encouragements to others, and view your church website prayer wall (if enabled). Allow your church members to easily download the latest newsletter or bulletin PDF's that you upload to your church website. Let your members see blog posts from your website (or any 3rd party site), whether it's articles, devotions, bible reading, and more. Allow your church members to easily give online through our Mychurchwebsite.com giving mobile platform... or, bring your own! Let your members search and read through the bible, any version, right from inside your app. Show off your website or facebook photo albums, all completely synced from your church site. Get insight into your users by viewing how many people have downloaded your app and how they are using it. You can link to any page on the web and have it show up inside your app so your users always stay inside your app. Can I always sync automatically with website? If you are a Mychurchwebsite.com client using our content management system, auto syncing all the data to the app is done for you automatically. If you are NOT a Mychurchwebsite.com client, we would need to evaluate your content management system to see if it outputs the correct data. If not, we can sometimes install a small utility on your website to get more data to us. Otherwise, we can still get some data from your RSS, Podcast, or Calendar feeds, but not all of it. How long does it take to publish an app in Apple’s App Store? Apple assesses your app according to a set of technical, content, and design criteria to make sure it works as it should and does not contain any objectionable language or material. This can take about two weeks. We submit the app for you and see the process through to its approval. As soon as the app is approved, we ensure that it is placed in the App Store. How long does it take to publish an app in Google Play for Android? Very often, apps are available at Google Play in just a few hours. How do we do use push notifications? Push Notifications are free within your subscription. Send an unlimited number of messages. Receiving a push message is also free for the user. To send a push notification, you can either login to our special app website or you can send a push message right from the app on your phone. It’s quick and easy! Segmenting. We can also create custom groups for you to send out push messages to! There are no long term contracts you have to agree to. 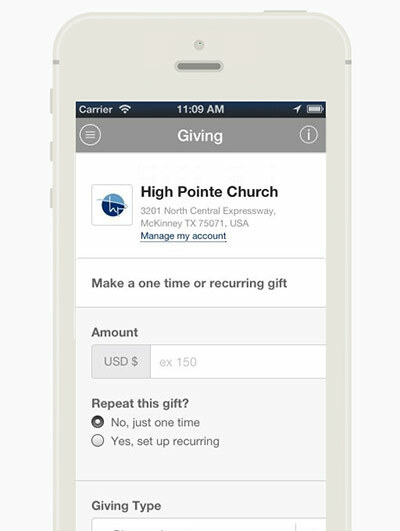 However, because there is a lot of work involved in setting up each app for each church based on their needs, if you do stop your service before 12 months is up, we do have to charge a $295 cost to cover the setup. All we need is your logo file and we’ll do the rest! We find everything on your website that would be a good fit for the app and set it all up for you. If you want to add other custom items, just tell us and we’ll add them for you.